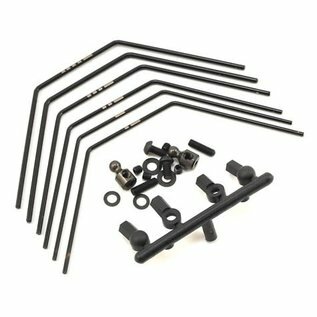 This is an optional Yokomo YZ-2 Rear "Hard" Sway Bar Set for use on the YZ-2 and YZ-4 buggies. These bars helps prevent over-roll and has an effect on improving performance and steering response. Especially effective on high grip road surfaces, leading to prevention of high side by reducing rolls. 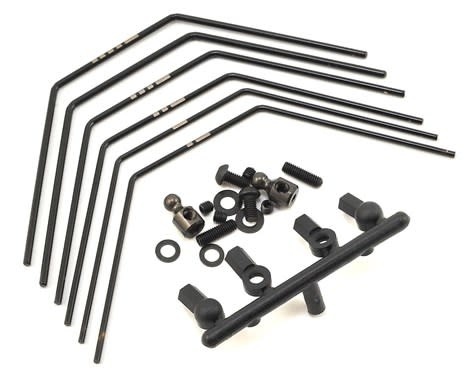 Six types of stabilizer bars from 1.5mm to 2.0mm are included, so you can choose properly depending on the situation.